An unconfirmed sighting of the missing 20-year-old is being investigated. 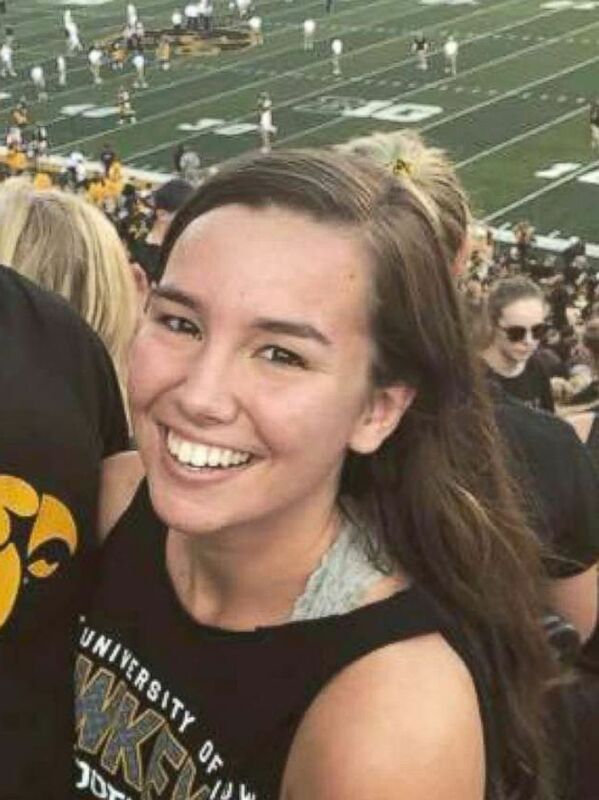 There has been an unconfirmed sighting of missing Iowa jogger Mollie Tibbetts in Kearney, Missouri. Kearney police responded on July 26 to a possible sighting of Tibbetts, 20, at a truck stop in the area, police told ABC News affiliate KMBC. The location is more than 230 miles away from where Tibbetts was last seen. Officers conducted a search of the area, spoke with witnesses and reviewed any potential surveillance video. A report was sent to the investigative task force regarding the sighting, Sgt. Joe Kantola told KMBC. No other additional details of the sighting were released. Canine searches have been used and investigators are poring over any clues they could gather from undisclosed technology, Winker said. Earlier in the investigation, officials said that they were going to be examining her Fitbit, a device that tracks physical activity and has a GPS feature. Winker said the he was "not going to draw any conclusions about the circumstances of her disappearance other than it's not consistent with her past." More than 200 leads have been collected as part of the investigation, police said. 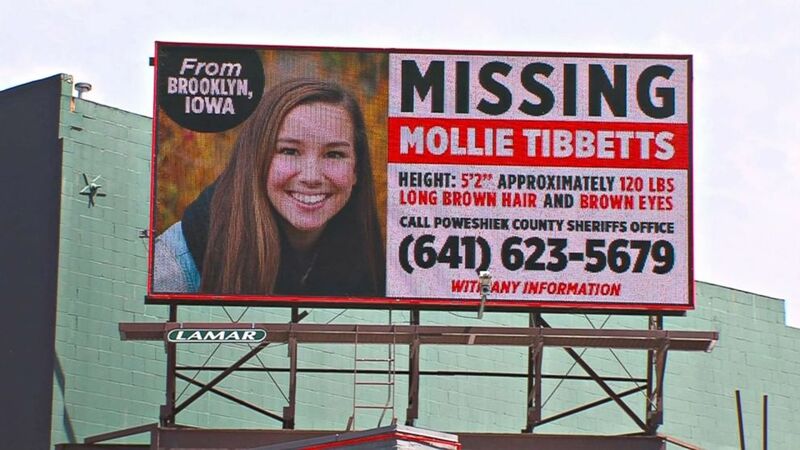 (KCRG) Missing Person billboard for University of Iowa student Mollie Tibbetts. “It doesn’t matter what we’re going through, we just need people to think -- because somebody knows something and they don’t even know it’s important,” Rob Tibbetts said.